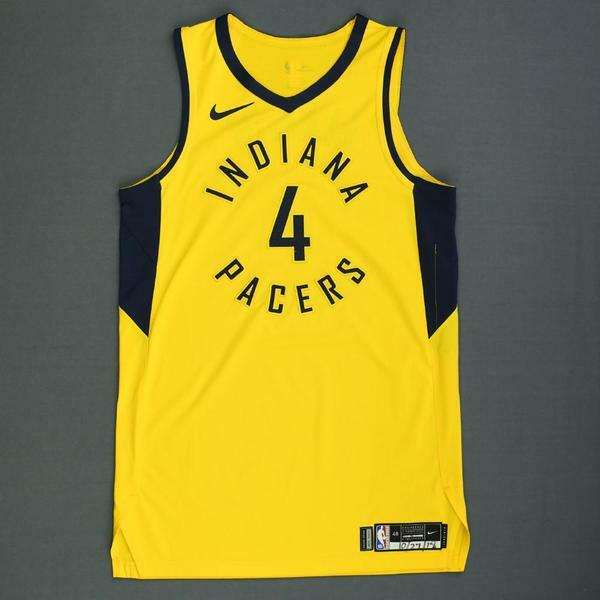 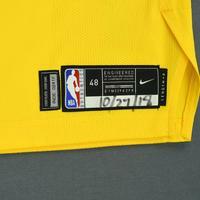 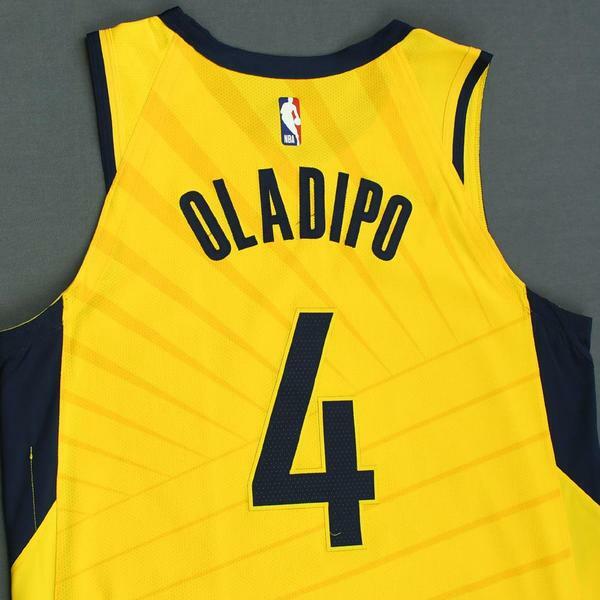 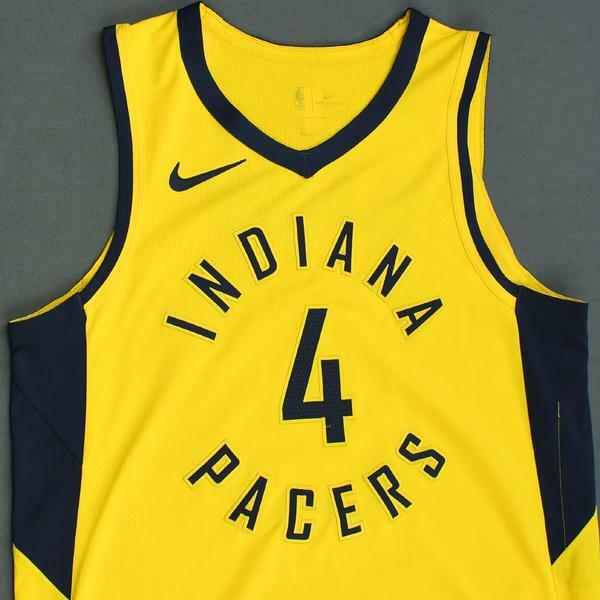 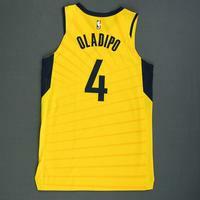 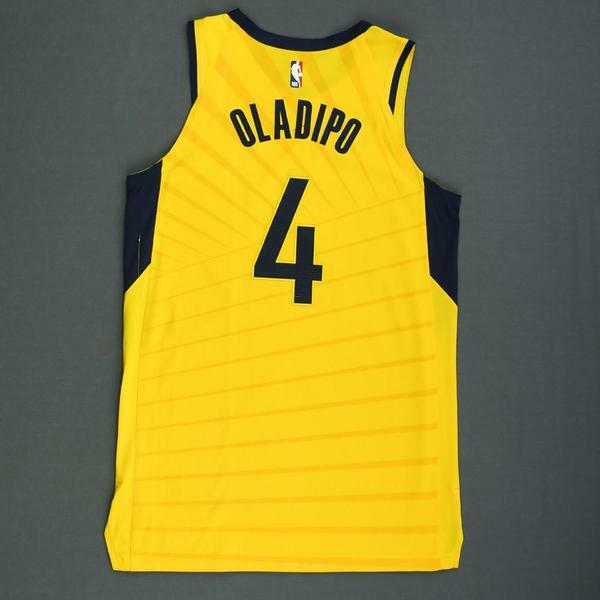 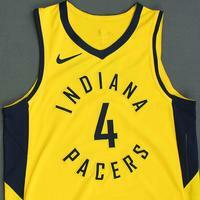 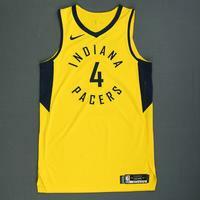 Oladipo wore this jersey during the Pacers' 119-107 victory over the Cleveland Cavaliers on October 27, 2018 at Quicken Loans Arena in Cleveland, OH. 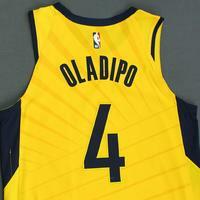 He played 37 minutes and registered 24 points with 6 assists, 3 rebounds and 3 steals. 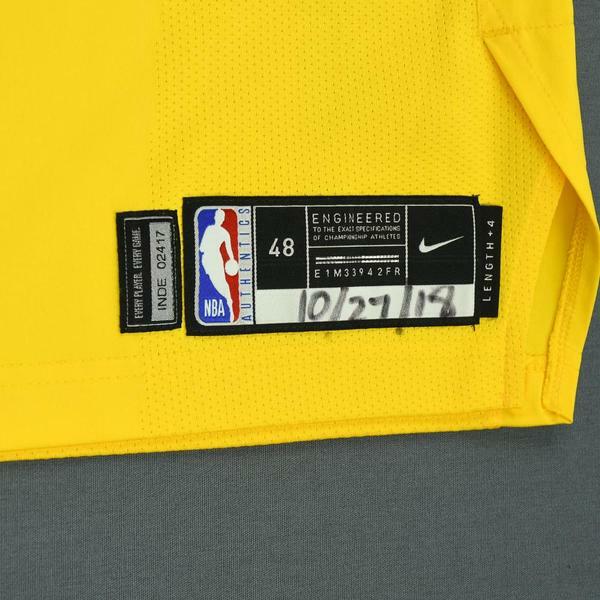 "10/27/18" is handwritten on the jock tag.